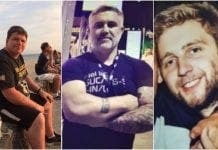 ARMED police have arrested Britain’s most wanted man in South Africa, following a three-year manhunt spanning Spain and Holland. Drug trafficker and fraudster Martin Evans, 52, stole over €50 million and was finally found and arrested on Saturday night in Johannesburg. He is described as a ‘real scalp’ for the National Crime Agency. The fraudster – a former Young Businessman of the Year for Wales – first turned to crime in 1995 after his double-glazing business collapsed. He set up an ostrich-breeding business – promising annual returns of 70% – and targeted newly-retired people for investment, pocketing more than €110,000 worth of investors’ savings. On the day his trial was due to start, in March 2000, Evans skipped bail and went on the run to Spain and Holland, sending a fax to the court to say he would not be attending. While on the Costa del Sol, Evans because involved in a multi-million euro drug trafficking scheme – selling cocaine and MDMA – and purchased a luxury €3 million villa in Marbella with his illicit funds. He was finally seized at New York’s JFK airport while trying to enter America using a fake passport, however, he was extradited back to the UK in 2001 and jailed for 21 years. But while serving this sentence, Evans escaped again after being released on a one-day licence, and went on the run again in 2011. But through collaboration between British and South African police, Evans has been captured once again. He is now facing an extradition hearing to decide if he will be returned to the UK. Though this ‘red scalp’ has been brought to justice, eight more Brits currently remain hiding from the law overseas.